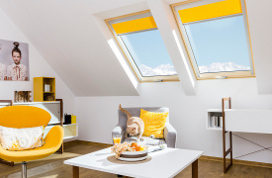 Roof windows take a modern twist on the traditional skylight. 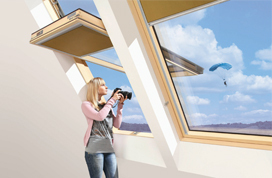 A roof window differs from a skylight by opening like a window instead of venting. 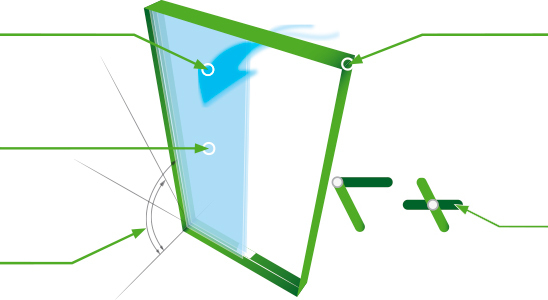 All of FAKRO's roof windows stress energy savings and are constructed with ThermoPro® insulation technology. 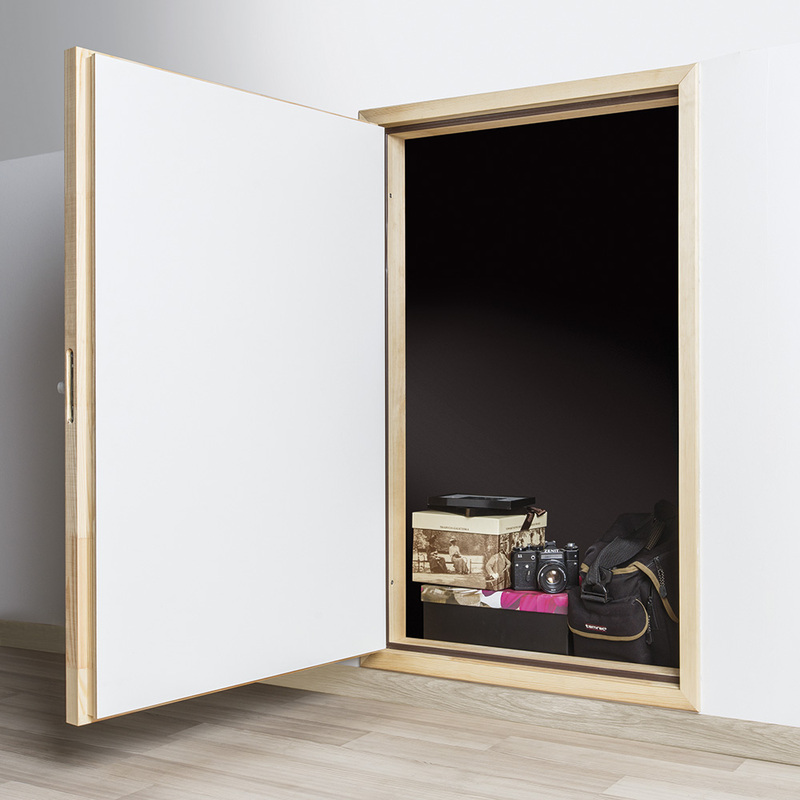 Incorporating roof windows can be a key component to opening up loft spaces, hallways, and various rooms in the home. 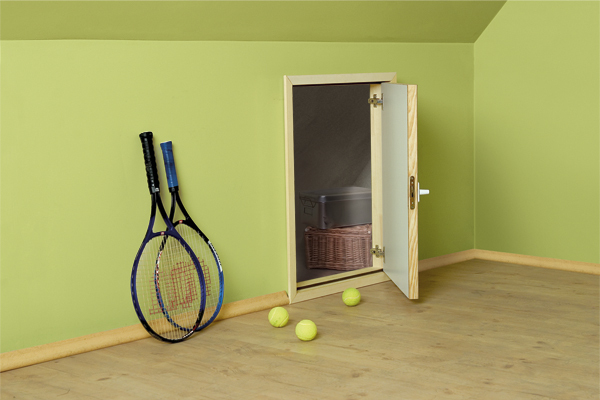 Consider placement when installing roof windows. 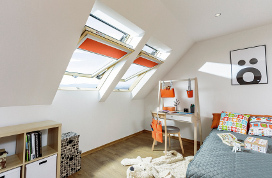 A number of smaller roof windows throughout the space provide better light distribution than one large roof window. 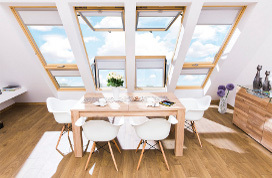 Roof windows let in light while providing a view to the outdoors and are vailable in manual and electrical Smart Home Z-Wave control. 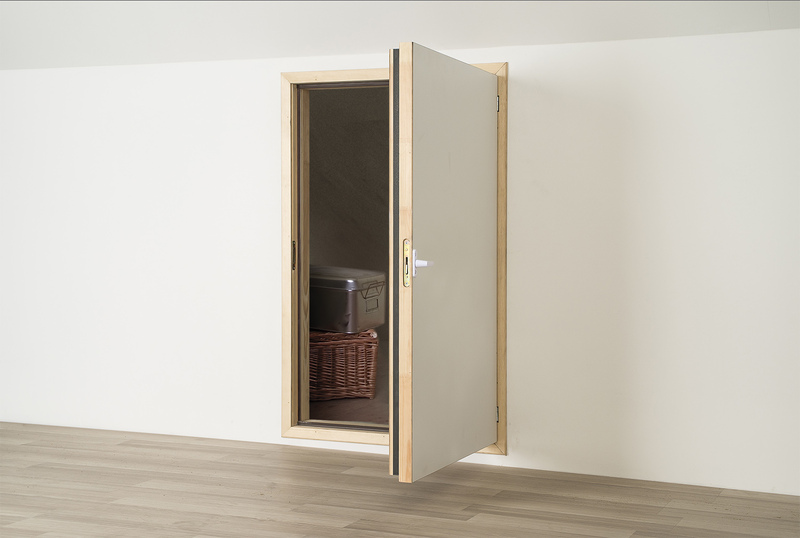 The range of roof windows available includes high performance Passive House, large high pivot, and balcony windows. 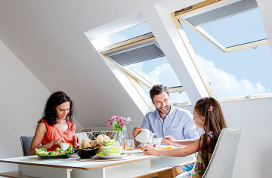 FAKRO incorporates the latest technology with every design, making comfortable, safe, and energy efficient roof windows available to consumers today.